People have been harking back to the endless sun and the baked yellow grass of 1976, as temperatures have remained high and farmers have looked to the horizon in vain, searching for rain clouds to water the crops. It might seem strange under these circumstances to be talking about flood risks caused by blocked drains, but the thing about this sort of weather is that when it breaks, it does so dramatically – as residents across the UK have been finding out. Over the last weekend of July, the storm clouds finally gathered and dumped 43 mm of rain on Lancaster in the space of 24 hours. Experts at Lancaster University said it was the highest rainfall they had ever measured. At the Hazlerigg weather station, more than 73 mm was recorded in one 24-hour period, the highest figure seen in 50 years, and a number that eclipsed the 60 mm recorded during Storm Desmond in 2015. Water levels rose up above shop windows, and emergency services were called out to rescue 70 people across the region, including one 86 year old woman who became trapped in her apartment. Her daughter said that the woman was “frozen in terror” and placed the blame on the town’s ancient drainage infrastructure. She commented that the system is well over 100 years old, and is no longer able to cope with Lancaster’s increased size and population. She added that the drains near her home are constantly blocked by leaves and that in the absence of anyone else doing anything about it, she has to work tirelessly to try to keep them clear. 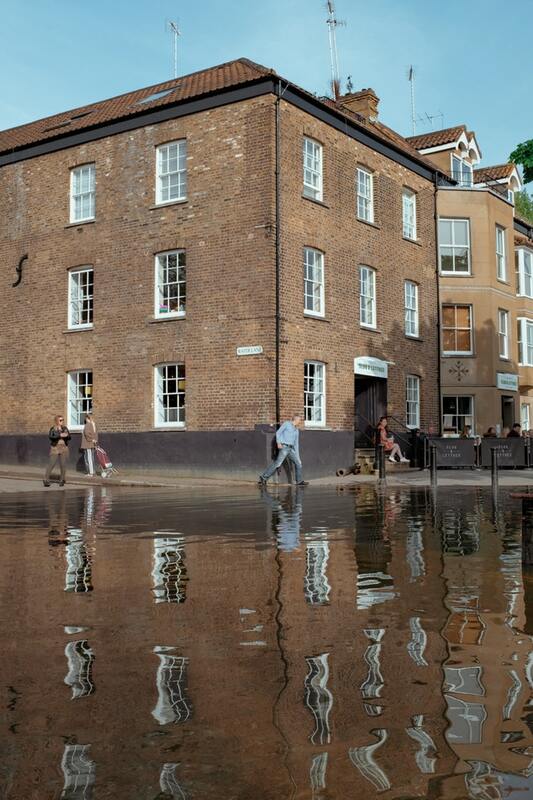 Further south, the Kent town of Tonbridge also found itself battling filthy water in streets and homes. Here, more than 11 mm of rain fell in just one hour. The dry, sun baked ground was simply not ready to soak up the deluge, and as a result, gallon upon gallon of water poured across Tonbridge Common and was naturally channelled towards the middle of town. From there, it should have continued into the drainage system, but as the photographic evidence of many local residents has shown, that is not what happened. Dozens of citizens shared photos on social media and with the local press of drains that were completely blocked with mud, leaves and other debris. Some were barely visible. This is not the first time Tonbridge has been hit by flash floods, and residents are clearly angry that the local authorities are not doing more. If you have blocked drains you are at much greater risk of flooding. Contact our drain cleaning specialists today.